We Have Wildlife – a positive message for all who care and treasure biodiversity both on and away from Scotland’s moorland. 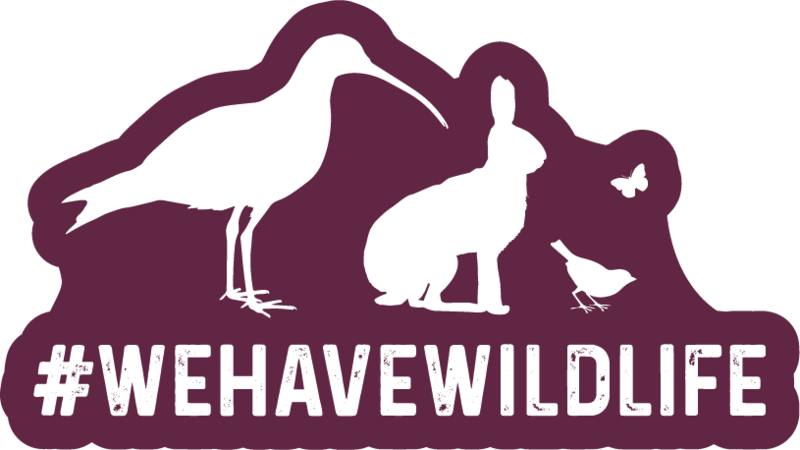 The campaign, backed by the #WeHaveWildlife hashtag, was launched by Scotland’s Regional Moorland Groups and The Gift of Grouse in mid-July in response to Chris Packham’s Bioblitz. You can read more about the campaign here. Over recent days, we’ve seen gamekeepers, visitors to our moorland and those who live close to sporting estates enthusiastically embrace the #WeHaveWildlife campaign, explaining why management of these areas produces a rich array of species and plant life that many other land managers would envy. In recent weeks, we only need to look at the example of Glenogil in the Angus Glens, where scientists from Game Conservancy Deutschland and students from the University of Applied Sciences and Arts in Göttingen, Germany, have based themselves to study the 103 species found there – a remarkable number. Not every shooting estate will be able to boast that level of biodiversity – but the vast majority are playing their part in helping wildlife to thrive through their management. This can also be evidenced in estates’ participation in schemes such as Wildlife Estates Scotland, Heads Up for Harriers and the East Cairngorms Moorland Partnership. On the flip side, we’ve also seen the usual critics of grouse shooting out on social media. Yet, the simple fact remains: grouse moors are teeming with wildlife and usually to a much greater extent than when conservation bodies try to manage moorland. So why do we witness online hysteria against a campaign such as We Have Wildlife? Grouse moors are managed in a certain way to benefit, primarily, populations of red grouse. No one has ever denied that fact. However, it is a form of management that is legal, is overseen by bodies such as Scottish Natural Heritage, and benefits wildlife beyond grouse. Gamekeepers undertake legal predator control to manage species including foxes, rats and stoats. This helps grouse and other wildlife to thrive from curlew to mountain hares, adders to owls, bees to raptors. Many who don’t like grouse shooting – whether it be an objection on animal rights grounds or even a dislike of what is often branded a pursuit for toffs – seek to deny that this management produces generally favourable outcomes for wildlife. However, it is not based on fact – it is based on ideology. Gamekeepers and land managers support Chris Packham’s Bioblitz efforts – we want to see wildlife flourish in lots of different places. Whilst we are disappointed that Mr Packham did not choose to make visits to moorland sites, we do note that there has been no hostility or denial that #WeHaveWildlife from his team. The key point that needs to be acknowledged is the evidence of grouse moor management is very different from the politics that activists want to play. Thankfully the two are not the same – and nor should they be. We hope such evidence will eventually be recognised by grouse moor critics even if their objections to this land management remain.